The Xantech 781ERGPS Regulated Power Supply is a voltage-regulated power supply. The DC output voltage is nearly a perfect 12 volts DC and can supply a maximum of 500mA current. The 781ERGPS has a 2.1mm barrel plug, centre positive, for power output. 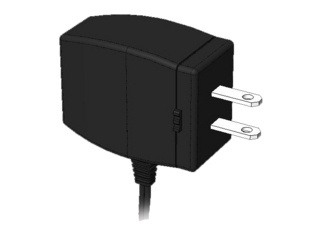 This adapter is a high-efficiency regulated 12V DC adapter that will power all Xantech IR systems. The barrel plug has a locking indentation ring with a small form-factor that allows tighter installation plus secure connection to all Xantech IR connecting blocks.